Guadalajara is the capital of the state of Jalisco and the second-largest city in Mexico. Guadalajara Mexico and the surrounding area are where tequila and mariachi music originated. This is also the land of charros, or Mexican cowboys. 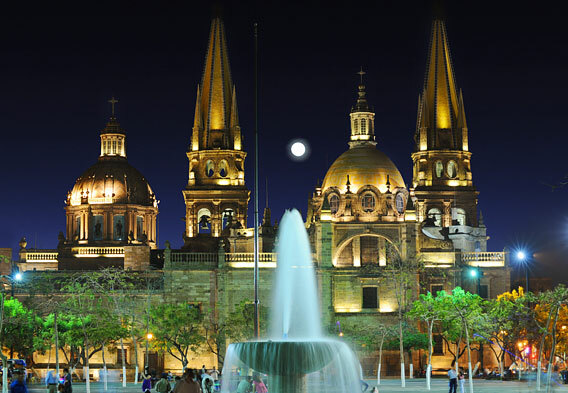 Guadalajara was founded in the 16th century and is well known for its colonial architecture and heritage. Guadalajara was the capital of the former Spanish New World kingdom of New Galicia - this kingdom dominated the territory all the way up to what is now San Francisco, California. Today, Guadalajara is a major economic hub and is widely considered to be one of the best overall cities in the Americas. Guadalajara is the second-largest city in Mexico and the tenth-largest city in all of Latin America. A very forward-moving metropolis, it has received plenty of foreign investment in recent decades and counts commerce and industry among its main economical sectors. 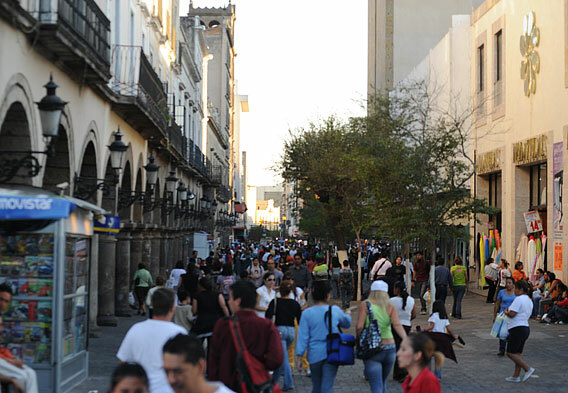 Thanks in part to Guadalajara's historic downtown core, tourism is also a major economic sector. In relation to Guadalajara's location, you can find the city in the west-central part of Mexico. It is the capital of the state of Jalisco and is well-connected by modern highways to Mexico City, as well as the major Mexican beach resorts of Puerto Vallarta, Mazatlan, and Manzanillo. Guadalajara Mexico was officially founded on February 14, 1542. Mexico was under Spanish rule at the time. By 1561, work on the city's beautiful Cathedral had begun. As Guadalajara grew in importance, it became the capital of a region that was known as Nueva Galicia. In 1791, the University of Guadalajara was established. This is the second oldest university in Mexico and one of the country's most significant institutions of higher learning. Guadalajara retained its role as the capital of Nueva Galicia until the Mexican War of Independence (1810-1821). After the war, it was designated as the capital of the newly created state of Jalisco. During the 19th century, Guadalajara experienced a considerable amount of economic, technological, and social growth. Another substantial growth occurred after the 1930s, and by the 1970s, this was Mexico's second largest city. Today, Guadalajara is regarded as one of Mexico's very best cities overall, offering plenty for tourists and businesspeople alike. For visitors who want to immerse themselves in the history of Guadalajara, there is no better place than the Centro Historico, or the Historic Center. It is in this area that you will find the Cathedral, as well as such other historic attractions as the Palacio del Gobierno (Government Palace) and the Plaza de Armas. The Centro Historico of Guadalajara is a joy to explore by foot. Tourists can also take it all in while riding in a horse-drawn carriage. Many Guadalajara visitors understandably book a stay at one of the city's more historic hotels, or those hotels that are found in the Centro Historico area. The allure of these hotels is easy to understand. The Centro Historico has a delightful atmosphere and offers a lot of attractions within walking distance. Among the hotels of note that are found in the Historic Center of Guadalajara is the Hotel Frances. This hotel exudes colonial heritage and is basically situated in the heart of the historic downtown district. Other good hotels in the Centro Historico area of Guadalajara include, but aren't limited to, the Hotel Morales, the Old Guadalajara, the Hotel San Francisco Plaza, and the Hotel Cervantes (pictured). 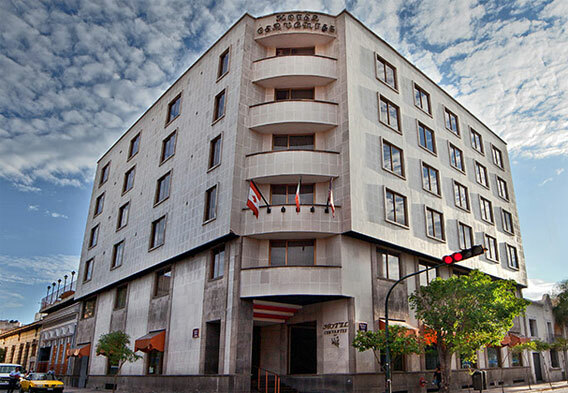 English-speaking travelers who are searching for an identifiable lodging brand can also consider the Holiday Inn Hotel and Suites Centro Historico. Guadalajara visitors who want to gain insight into the city and its surroundings can look to book tours. At least two local companies offer bus tours of the city, and these can be great introductions to the thriving metropolis. Often times, city tours like these include a visit to Tlaquepaque. One of Guadalajara's suburbs, Tlaquepaque is a major market center and one of the best places to shop in all of Mexico. It is particularly known for its handicrafts and decorative arts. Another Guadalajara tour destination of choice for shopping enthusiasts is Tonala. This pleasant suburb is home to the largest concentration of artisans in all of Mexico and is well known for its Thursday and Sunday market days. Other ideas for Guadalajara tours include tequila tours and tours that include a visit to Lake Chapala. The nearby town of Tequila is understandably the destination of choice for tequila tours. Among its main attractions is the Jose Cuervo Distillery. Lake Chapala has the distinction of being the largest freshwater lake in Mexico and offers plenty in the way of scenic beauty. Situated at an altitude of 5,200 feet above sea level, the Lake Chapala area offers warm days and cool nights and has developed into a popular retirement destination for Americans and Canadians.